Theses 10 natural options are all straightforward and uncomplicated. They do not require a doctor’s prescription or even medical supervision. However, they should all be done sensibly and in moderation. Expert medical professionals have shared that exercising in the way of weightlifting and strength training are two of the best kinds of exercise to increase testosterone naturally. Also called endurance training, strength training should be done more in the evening or late afternoon hours to have better results in increasing testosterone levels. 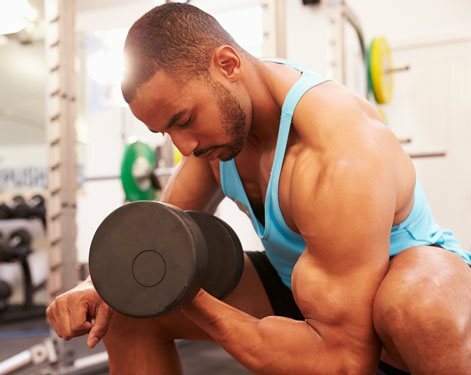 Research suggests that lifting heavier weights and doing less repetitions rather than lifting lighter weights and doing more repetitions is how to raise testosterone. Additionally, one should take shorter rest periods between repetitions throughout their workout. Many experts suggest a fasting window of approximately 16 hours every day. During that time, a person can only intake water or anything that does not contain any calories. During the other eight hours of the day, a person can eat what they wish (responsibly). Other experts suggest fasting for a full 24 hours either one time or two times per week. One study shared that after fasting for 24 hours, subjects increased their testosterone levels by 2,000 percent. Study after study has proven that this kind of fasting (whether for 16 hours or 24 hours) works for the natural increase of testosterone levels. Combining intermittent fasting with other suggestions listed here can lead to long lasting high levels of the vital hormone of testosterone. Restricting refined sugars from one’s diet will have a great effect on increasing low testosterone naturally, according to a plethora of medical studies. It has been proven that blood sugar levels and testosterone are directly related. When sugar is decreased in the diet, testosterone levels go up significantly. These foods all contain many types of monosaccharides including glucose, fructose and galactose. When consumed, these sugars turn to insulin. Experts report that there is a huge connection between high insulin levels and low testosterone levels. In addition, refined sugars can cause other issues, such as weight gain, which can directly affect testosterone levels too. Do your best to avoid eating the foods listed above. Many people eat them because they are convenient and highly tasty. Avoid foods that say they are fat free. The fat that is missing is usually replaced with refined sugars to give the food a good taste. Cook at home. This is the only sure way for you to know you are using foods that are organic and sugar free. When you feel like snacking, turn to organic vegetables. Stay away from coffee if you use creamer. Creamer is extremely high in refined sugars. If you are a tea drinker, you may not be aware of the sugars used in most of the fruity flavored teas. Green tea will be your best option for lower sugar content. A person does not have to completely eliminate all foods that contain refined sugars from their diet for the rest of their lives. Eating anything in moderation can be okay, but start reading labels and becoming more aware of how many foods you never knew contain refined sugars. This is the way you will naturally be able to boost your testosterone levels naturally; by eating healthier choices. Many people think that they need to eliminate all fats from their diet in order to keep their testosterone levels high and to avoid gaining weight. This is not true. It is important to understand that healthy fats are vital for good health and longevity. In fact, a healthy diet should contain at least 20 to 35 percent of healthy fat, such as omega-3 fatty acids, polyunsaturated fats and monounsaturated fats, according to reputable sources. Healthy fats can help to increase testosterone levels naturally. They contain cholesterol, which converts itself into hormone. Again, make sure you eat all foods in moderation. Stay away from that fat free choices, for they will contain plenty of sugar to make up for the lack of fatty ingredients. Healthy fats are essential for increasing low testosterone levels naturally. Research has shown that decreasing body fat by 50 percent can significantly increase testosterone levels in those who are overweight. Those with low testosterone levels will be encouraged to lose weight by modifying their overall lifestyle. Dieting is not necessarily the way to lose fat. In fact, dieting can be detrimental to testosterone levels because it will remove the necessary fats and other essential foods needed to keep testosterone levels high. So what should one do? Eliminating refined sugars as much as possible is one option. Eating a healthy diet with the correct kinds of fats is another. Making sure to include exercise in a daily routine is vital. Keep your stress levels down as much you can with relaxation techniques. All these will help to reduce excess fat, create weight loss and increase testosterone levels naturally. Drinking too much alcohol will decrease testosterone levels, according to experts. These professionals do not believe that alcohol must be eliminated completely from the diet in order to increase testosterone levels; however, keeping alcoholic consumption to a moderate level is vital. In fact, drinking high levels of alcohol has been called the “enemy” of testosterone. Many kinds of beer contain hops and barley. These two ingredients are full of two chemicals that are known to increase estrogen, which decreases testosterone. They are called phytoestrogen and prolactin. Many wines contain an estrogen increasing ingredient called phytoestrogen. It is unfortunate that alcohol is a testosterone killer; however, limiting alcoholic intake can also limit the loss of testosterone within the body. Drink responsibly, if at all. There are two common ways to add testosterone boosting zinc to your body. Both ways are simple, not time consuming and do not have to cost a lot of money. Supplements of zinc in pills or capsules are bought over the counter. When they are consumed at 30 mg per day, they can raise testosterone levels considerably, according to professional sources. 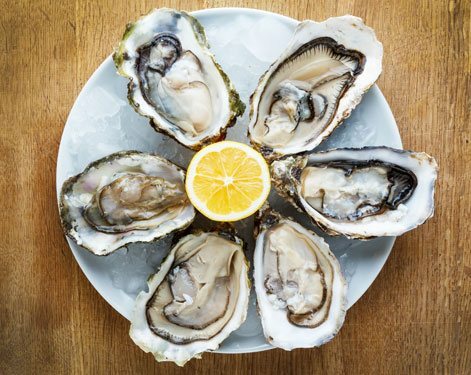 Experts have confirmed that being deficient in zinc can cause a testosterone deficiency, but adding the mineral zinc through oral supplementation can bring levels back to normal. Remembering to eat these choices in moderation is essential for getting the proper amount of zinc into the diet and remaining at a healthy weight. It should not be difficult to find these foods in your local grocery store and to raise your testosterone levels naturally. Much like the mineral zinc, vitamin D3 can be ingested in oral supplements in the form of pills or capsules as well as through healthy foods. Adding more vitamin D3 to one’s diet can increase testosterone levels substantially, according to medical studies. Sources have said that most foods are not rich in vitamin D3 unless they are fortified. Therefore, making sure to eat many of the choices from the list above is vital in helping to increase testosterone levels naturally. Experts say that there is a recommended daily allowance of these branched chain amino acids which can be found in the above listed foods. They should be leucine at 42 mgs per 2.2 pounds of body weight, valine at 24 mgs per 2.2 pounds of body weight and isoleucine at 19 mgs per 2.2 pounds of body weight. The Journal of Nutritional Science and Vitaminology shared that endurance exercise after eating foods high in BCAA’s can raise testosterone levels faster and higher. Remember that branched chain amino acids are not vitamins. They are amino acids that must be ingested through food. Environmental toxins are everywhere and it is very difficult to decrease exposure to them. They have been proven to affect testosterone levels; however there are ways to lessen one’s exposure to them in order to increase testosterone levels naturally. Organophosphate pesticides – Buy only organic products, whether foods or household cleaners, for example. Dioxin – Eat fewer animal products. BPA – Eat fresh foods instead of canned foods. Use products that say BPA free. Stay clear of paper receipts because they can attain BPA. In addition, avoid polycarbonate or anything that has the recycling label #7. 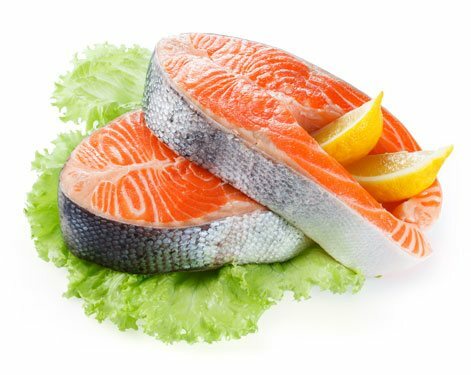 Mercury – Since this toxin is found mostly in fish, try to stick to only wild salmon and farmed trout. Lead – Upkeep your home, avoiding crumbling paint. Since there is usually a lead in drinking water, use a high quality water filter if you drink tap water. Atrazine – Use a water filter for tap water and only buy organic produce. Arsenic – Use a good water filter for tap water. Phthalates – Avoid plastic food containers or plastic wrap made from PVC. Avoid products with the code recycle #3. Read the labels on children’s toys and on personal care products that say they contain added fragrances. Perchlorate – Use a good drinking water filter on tap water, specifically a reverse osmosis filter. Add iodized salt into your diet to reduce possible effects of this toxin, which is in most foods. Glycol Ethers – Read labels and try to avoid anything containing 2-butoxyethanol (EGBE) and methoxydiglycol (DEGME). It is very important to raise testosterone levels naturally in order to maintain a great quality of life. There are many ways to accomplish raising these vital hormones. One must be aware of the foods they eat, the amount of exercise they do and the way they do it, their alcohol intake and the products they use. One must understand that internal as well as external factors can have an effect on testosterone levels and overall health.